Robert C. Stava, 98, of Bruno, died Wednesday January 4, 2017, at St. Joseph's Villa in David City. Mass of Christian Burial Monday January 9, 2017 10:30 A.M.
Robert C. Stava was born on the family farm at Bruno on February 13, 1918, to Robert M. and Mary Ann (Divis) Stava. He attended area schools and graduated from David City High School in 1935. He received a Teaching Certificate from the University of Nebraska in Lincoln. After a short stint at teaching, he farmed near Bruno and eventually went to work at the Bruno Elevator where he worked for over 30 years, many as manager, retiring in 1989. On July 7, 1942, he married Agnes Riha at St. Mary's Catholic Church in David City. Robert is remembered as a good father and a very hard worker. Robert is survived by his three children; Robert D. Stava of Brainard, Richard (Beverly) Stava, Bruno, Mary Ann (Kenneth) Borgmann, Staplehurst, daughter-in-law Diane Stava, Staplehurst, two sisters, Edith Wrona of Omaha, Elaine Meduna of Wahoo and a sister-in-law, Rosemarie Stava of Lincoln. He is also survived by eight grandchildren; Rick (Kristie) Stava, Randy (Tanya) Stava, Ryan Stava, Craig (Cori) Stava, Sharon (Rod) Lange, Megan Borgmann, Brandon (Elle) Borgmann, Danyel Borgmann, and four great-grandchildren; Mitchell Lange, Colton, Cortney and Masey Stava. 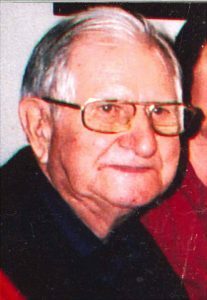 He was preceded in death by his parents, wife Agnes, grandson Monte Stava, six sisters; Beatrice Polacek, Ella Koza, Albina Patocka, Lillian Pesek, Mildred Gibilisco, Georgia Crha and two brothers, Dennis and Emil Stava.